County Sheriff’s Deputy Aaron Parmlet thought that he may not survive. As he navigated the flames burning through Paradise, California, on Nov. 8, Butte County Sheriff’s Deputy Aaron Parmlet figured that he may not survive the day. According to the sheriff’s office, Parmlet was looking for four nurses at Feather River Hospital who needed help evacuating. As he drove down Pentz Road, flames surrounded him, and Parmlet was unable to see more than 10 yards in front of him, the sheriff’s office said. 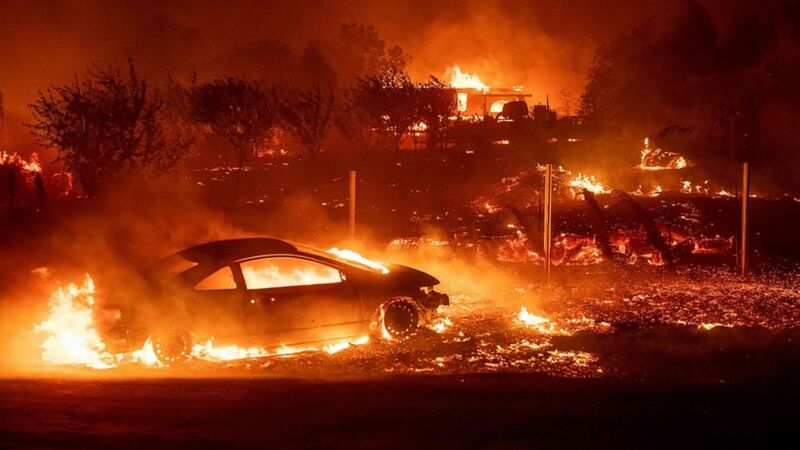 (Josh Edelson/AFP/Getty Images) Vehicles and homes burn as the Camp fire tears through Paradise, Calif., on Nov. 8, 2018. When his car broke down and he was forced to look for the nurses on foot, he turned his body camera on, thinking it might capture the last moments of his life. The hair-raising video shows Parmlet moving through a thick red haze. The sky is glowing red on the horizon, and burning embers swirl around him as chatter filters through his police radio. Parmlet kept pushing forward, barely able to make out the silhouettes of evacuees also walking through the flames ahead of him. Eventually, he found the nurses he was supposed to evacuate on the road. 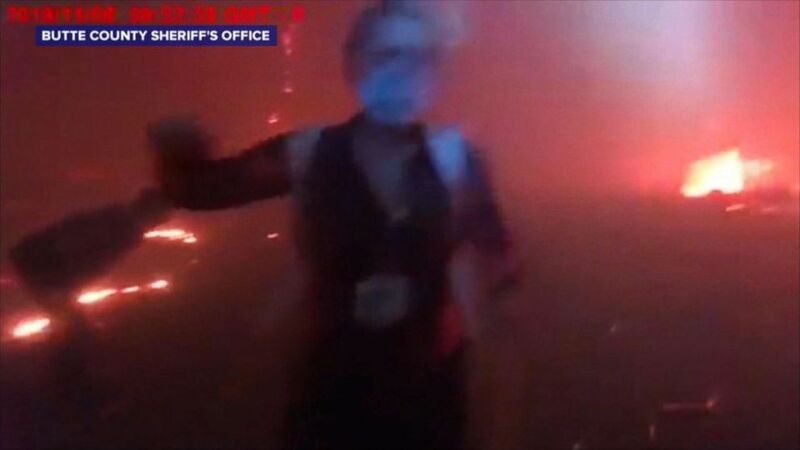 (Butte County Sheriff's Office) Bodycam footage from Butte County Sheriff’s Deputy Aaron Parmlet during the Camp Fire in Paradise, Calif., Nov. 8, 2018. In the final tense moments of the video, the headlights of a bulldozer approached Parmlet, and he uses a flashlight to get the attention of the driver. The nurses and Parmlet were able to get into the vehicle or walk behind on foot to escape the apocalyptic scene. California’s Camp fire was the most destructive fire in state history, burning for 18 days and incinerating thousands of homes and other structures. At least 85 people died in the blaze and at least 296 are unaccounted for. The fire was 100 percent contained on Nov. 25.